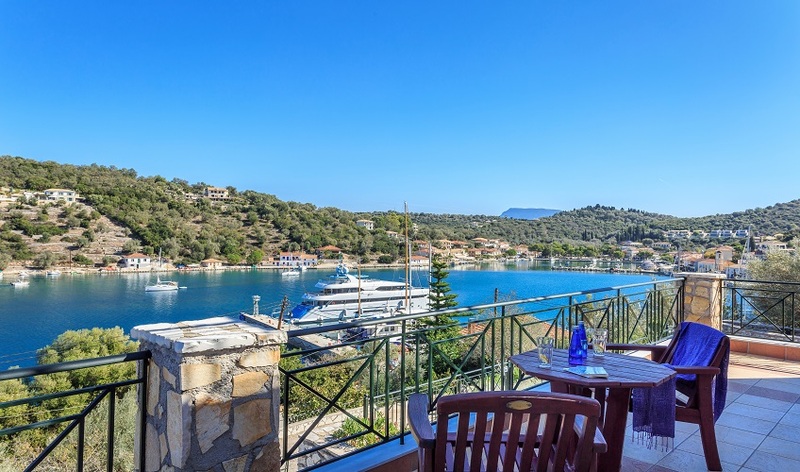 Meganisi, literally means “the Big or Great Island”, a strange name for one of the smallest inhabited islands in the Ionian but as any regular visitor will tell you, in many other ways it fully merits its name. 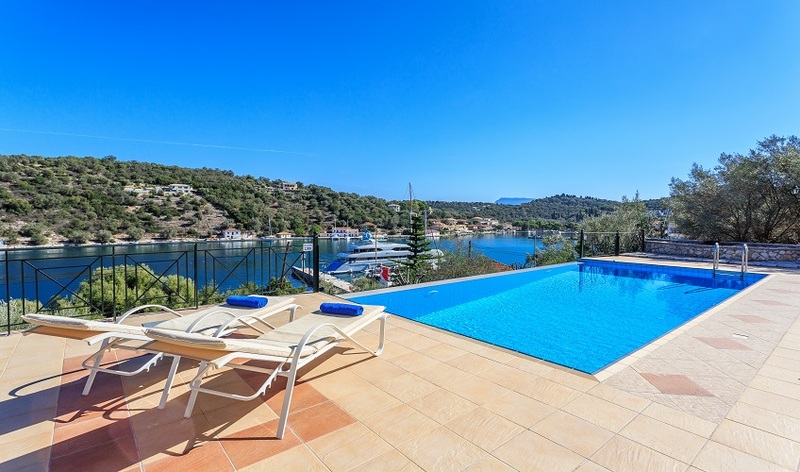 Big for the natural friendliness of its inhabitants, great for its setting, amongst a string of smaller islands on the lake-like Inner Ionian Sea, there’s certainly nothing small about the view from this lovely villa set on a hillside overlooking the sea and the entrance to Vathi’s sheltered harbour framed by the hills of Lefkada and the mainland mountains. 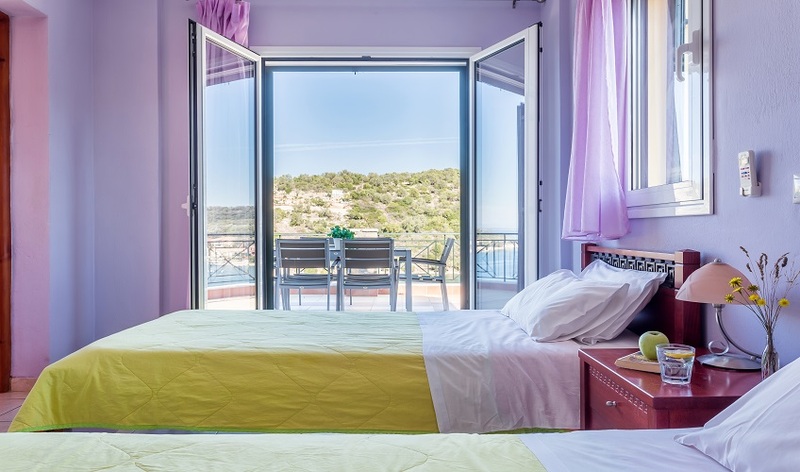 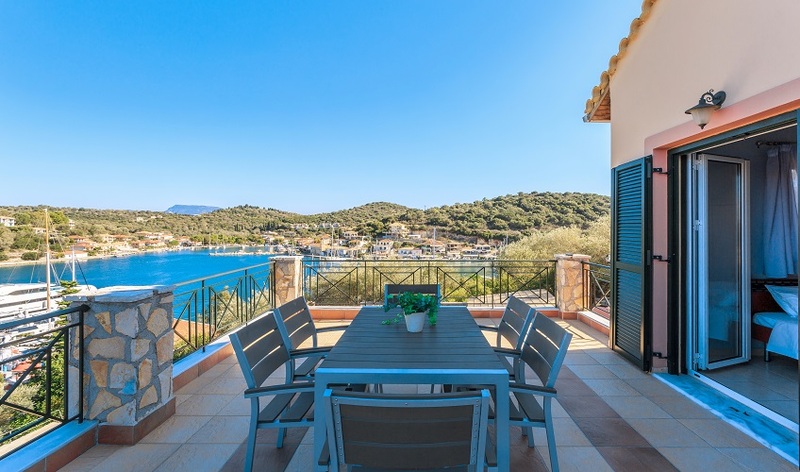 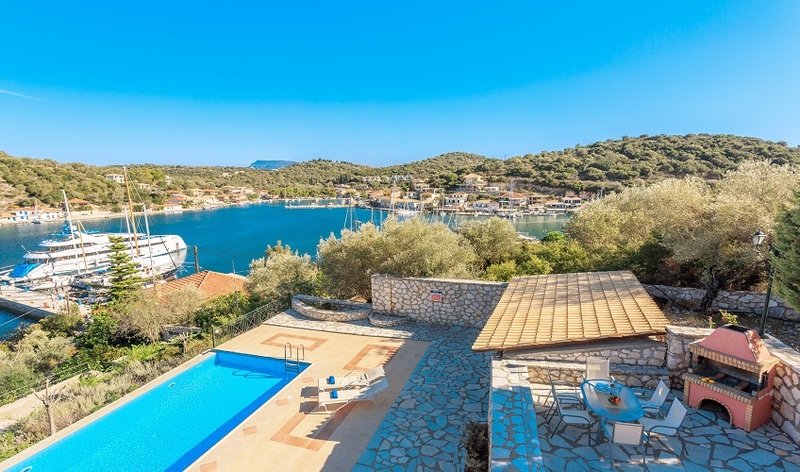 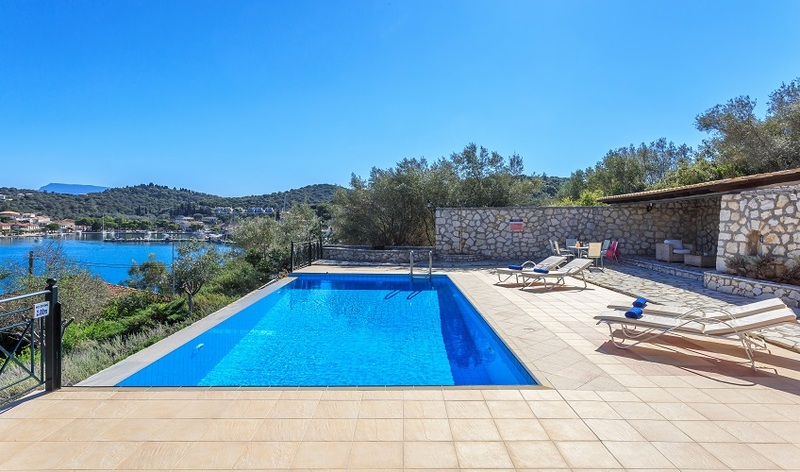 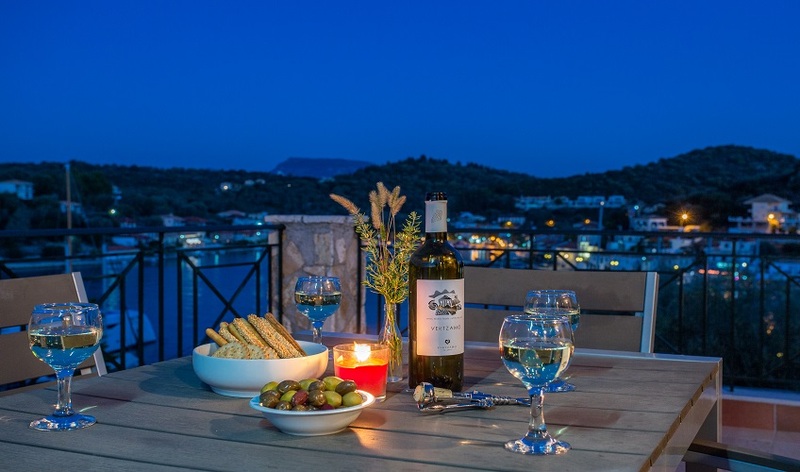 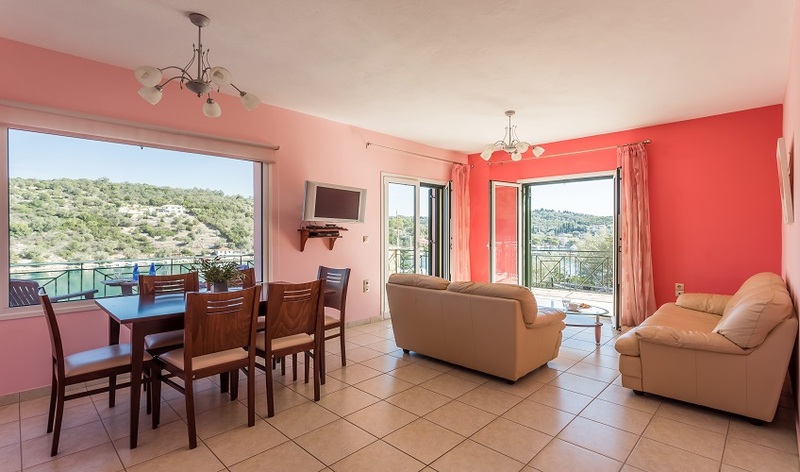 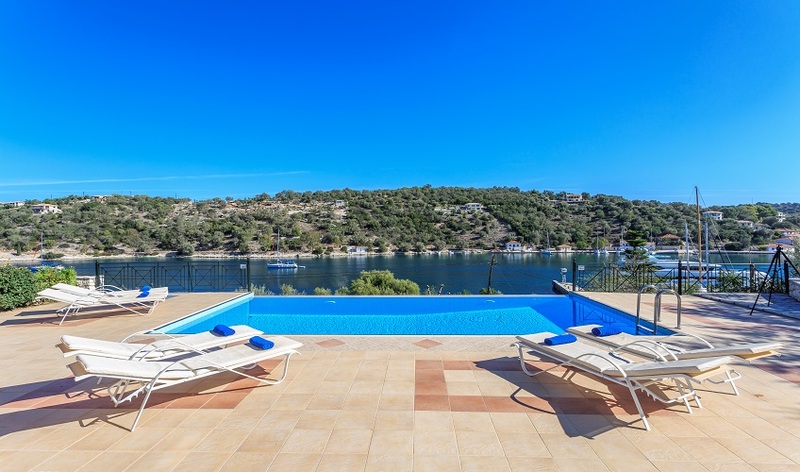 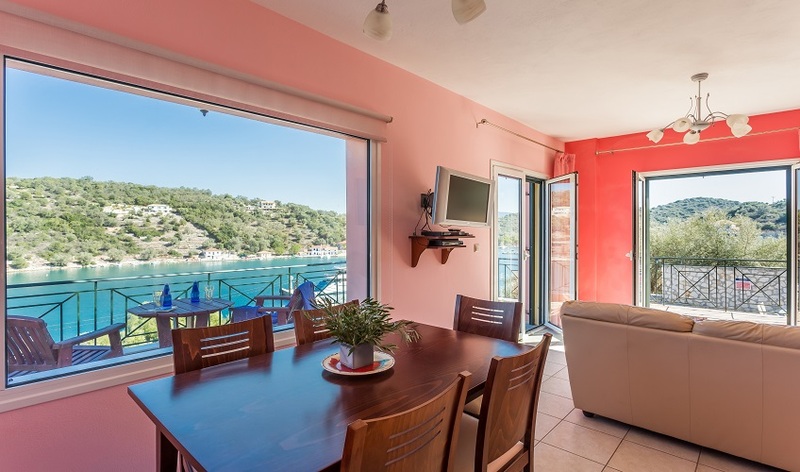 Situated in it's own terraced grounds the villa is approached via a shared drive but it’s only a short stroll of 200 metres down to the shops and waterfront tavernas of Vathi. 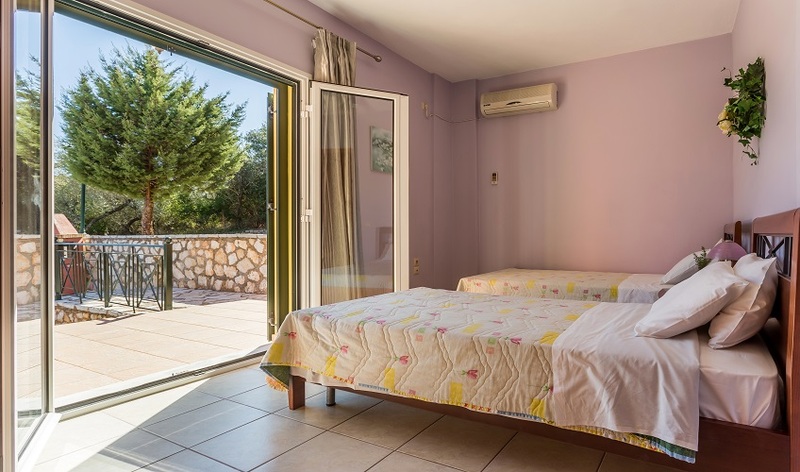 The master double bedroom with its own dressing room and bathroom is on the ground floor on the same level as the swimming pool. 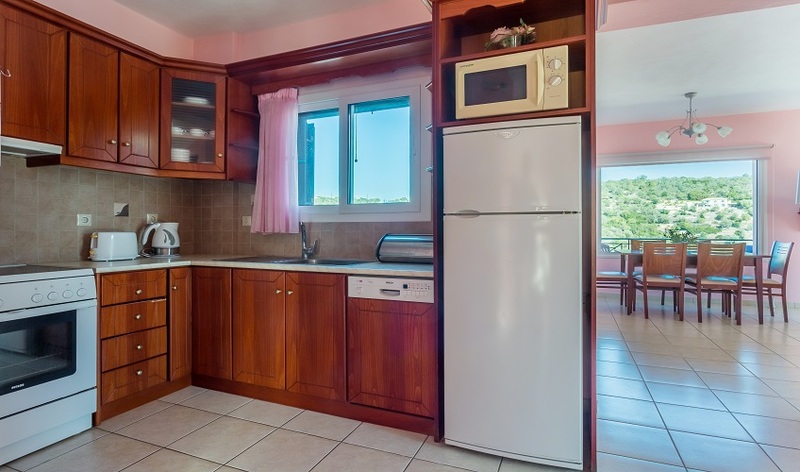 Steps lead from here to the first floor living/dining room and fully equipped kitchen area. 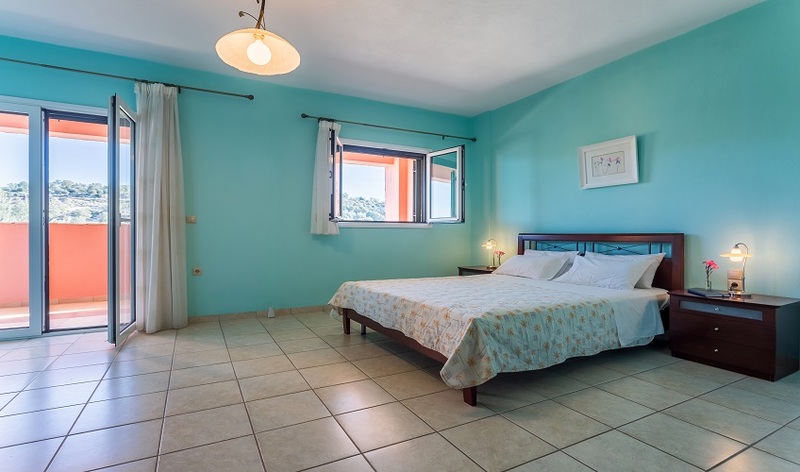 Also on the first floor is a twin bedroom with bathroom and a staircase leading up to a spacious twin bedroom and bathroom on the second floor. 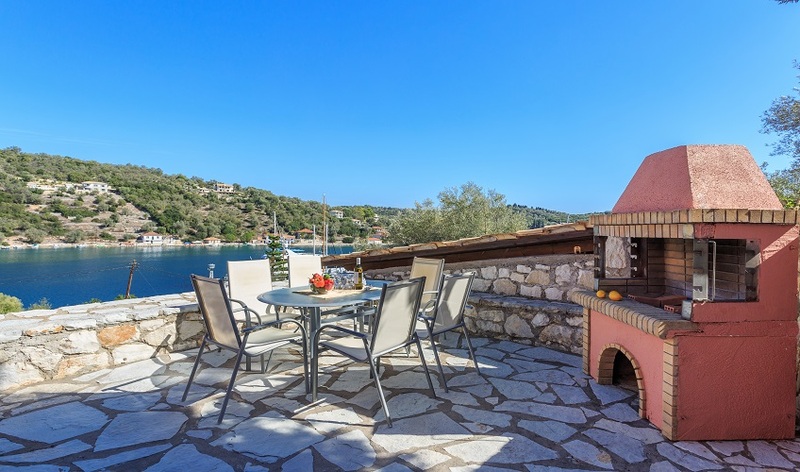 Every level has its own terrace or balcony. 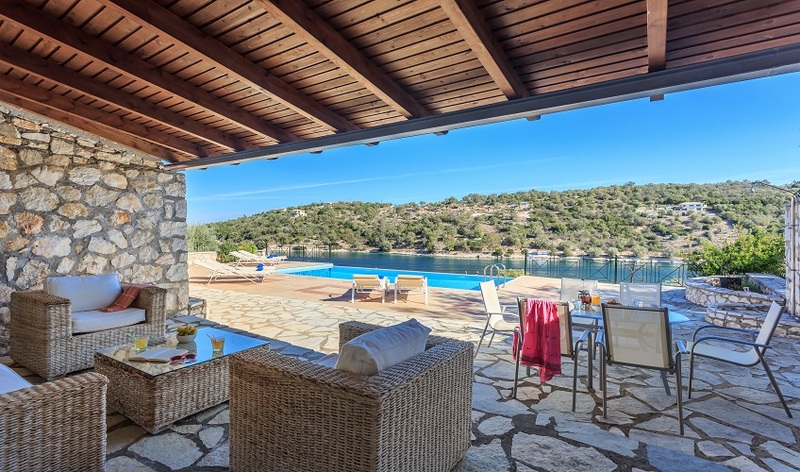 Outside there are sun loungers by the pool, plenty of shade and a barbecue for those al fresco meals. 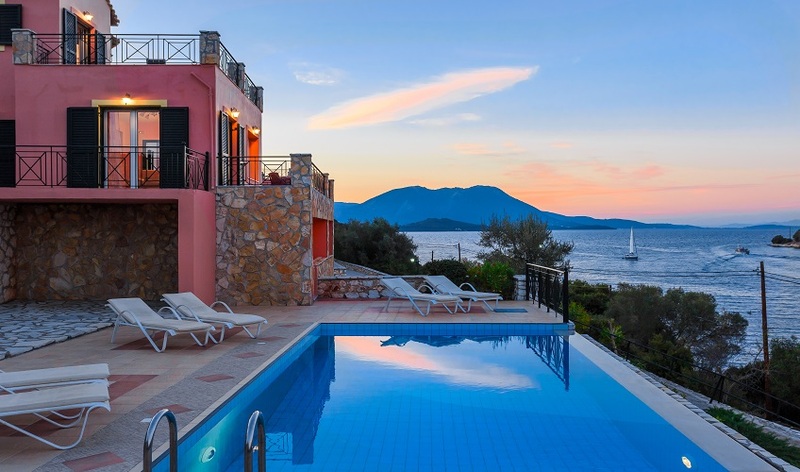 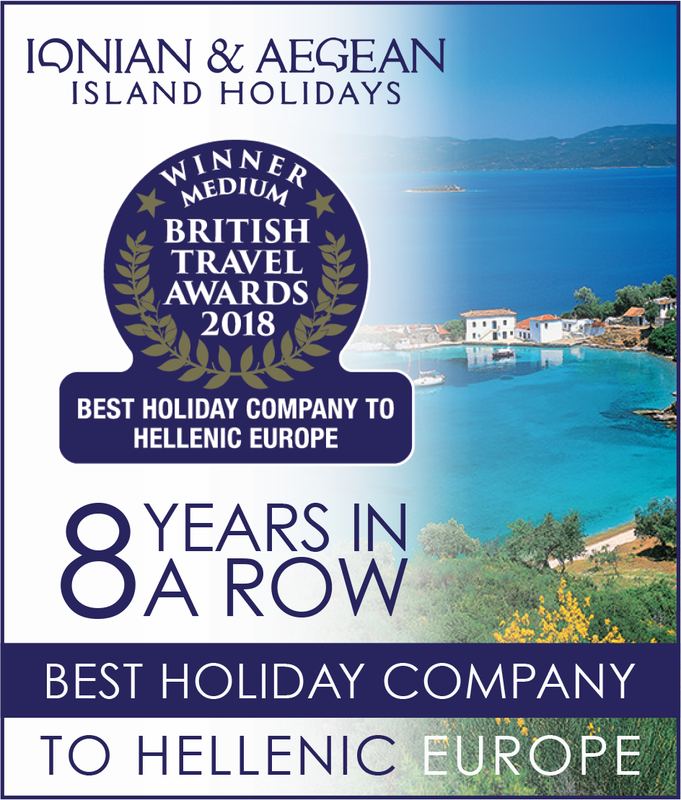 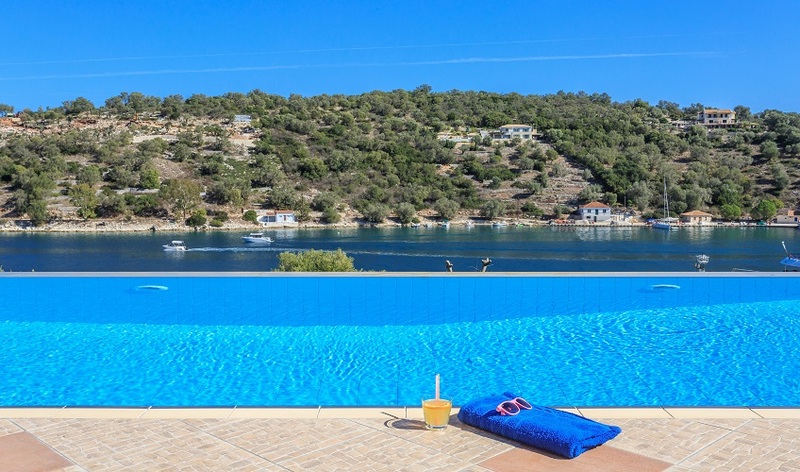 This beautifully situated and comfortable villa would make the perfect base for exploring this unspoilt jewel of the Ionian Islands.